PYC has a total of 32 well appointed rooms of five star ambience. Out of this, four are exclusive suite rooms and balance 28 are executive rooms. The all A/C rooms have a fine room service and all other amenities which one would look for in a prestigious facility like this. 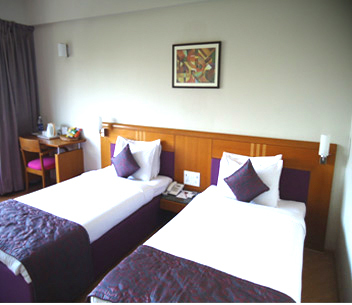 The guest rooms are used by all concerned connected with various sporting activity at PYC. It is also enjoyed by members of our club and the esteemed members of reciprocal clubs all over the world. The Room Tariff is based on Continental Plan for room stay only. For other details contact room reservations.